Marion has several years teaching and learning and leadership experience in the higher education sector. She is also a Board Director for Metro South Hospital and Health Services and sits on the Metro South Safety & Quality committee. Marion completed a Bachelor of Nursing (Hons) in Sydney and then worked across NSW, Vic and QLD with experience in critical care and acute medical surgical areas, specialising in cardiology and emergency nursing. She completed a Master of Nursing in Women’s Health through QUT and a PhD at Griffith University. 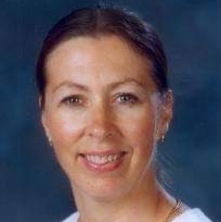 Marion has broad experience is leading curriculum design, implementation and review and has been involved in numerous research projects around students’ experiences of university and supporting and assessing students’ learning. Her research interests include the student experience of university, assessment of learning, supporting casual academic staff, nurse education and clinical decision making. Marion also supervises several PhD students across a range of interests and research methodologies. Factors contributing to Cardiac Rehabilitation uptake among patients with coronary artery disease in Thailand. What are the Quality of life outcomes for patients with Parkinson¿s disease (PD) treated with subthalamic nucleus deep brain stimulation (STN DBS) at 12 months who are provided with personalised education?